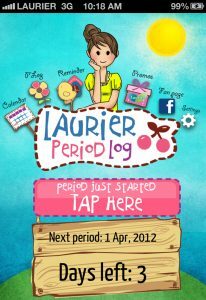 The Laurier Period tracking app is fun and easy to use, and the best part is it ensures your period hardly ever catches you by surprise again! 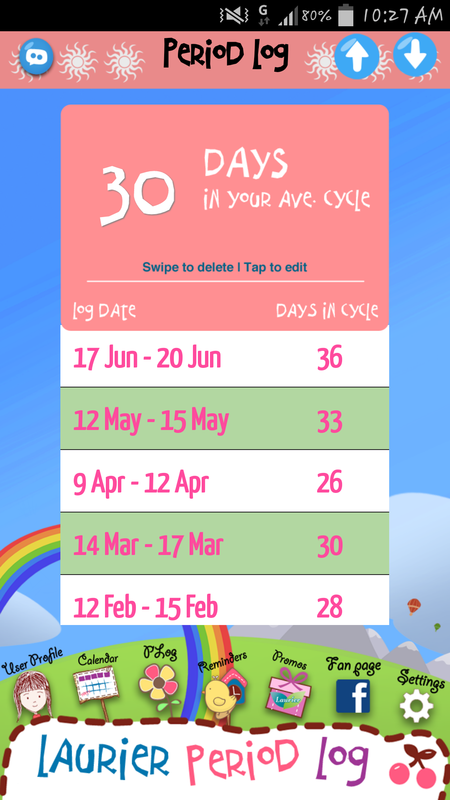 Keep your information handy and within your reach always with this app. 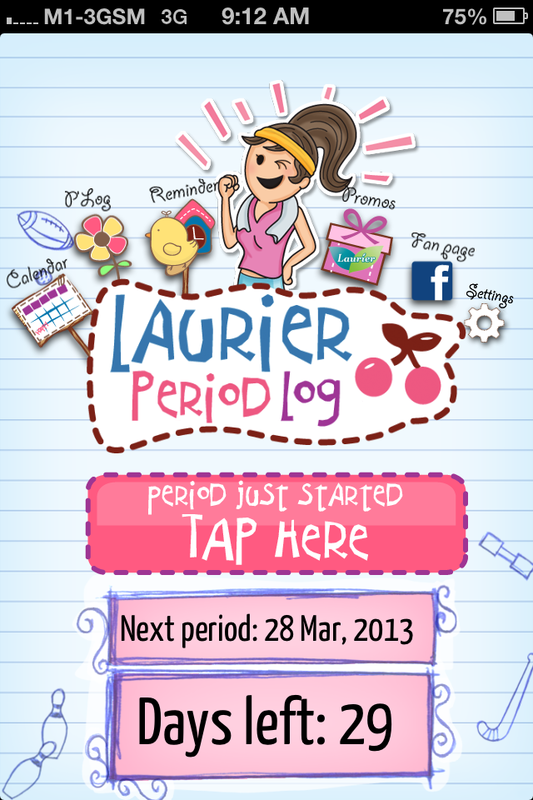 Plus, it’s available for both iPhone and Android phones so everyone gets a go! 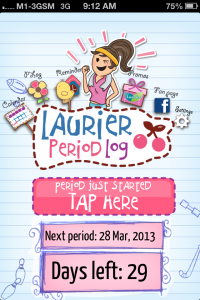 The app allows you to check your Next 12 estimated period dates with just a tap of your finger! 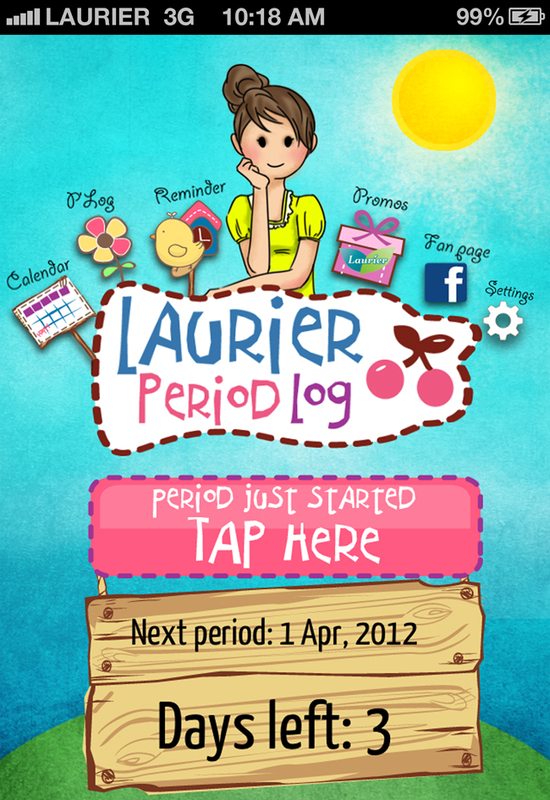 Never worry about not enjoying your already-planned beach holidays now with a better idea of when your periods are due. 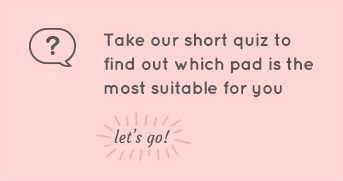 The timely Reminders function also means you can now bid goodbye to forgetting to stock up on your pads, or being caught off guard when your period pops by! 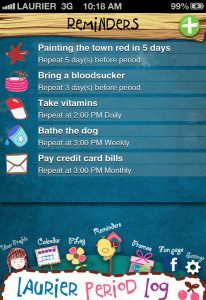 You’ll be able to set pop up reminders a few days before your expected period so you can do the necessary preparations. 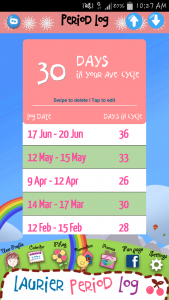 There are also other reminders which you can set on repeat mode. 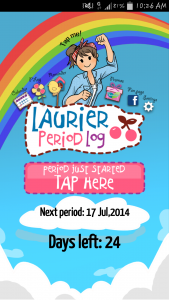 Don’t worry about the loss of your logged data! 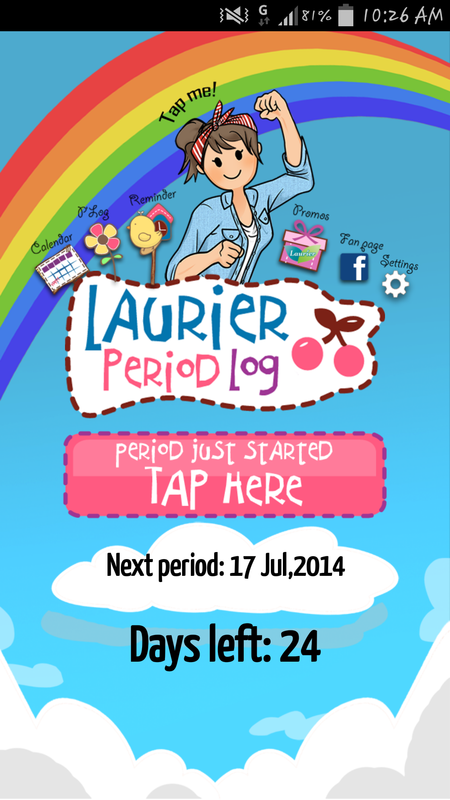 Backup your past log so that you’ll always have access to your data even when you change phones! For iPhone: Tap (up) to send your backup data to your email. 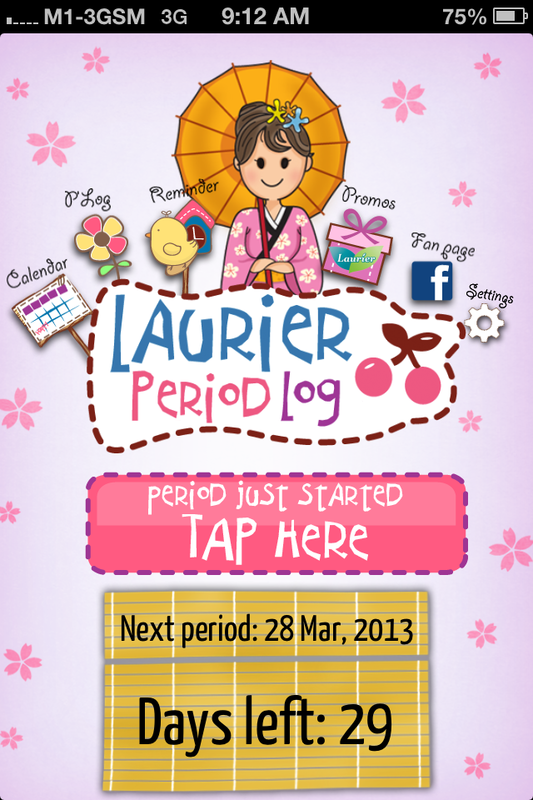 To retrieve your past data, tap the attachment in your email and data will be automatically updated in period log. Tap on the file titled “Plog.json” and your data will be updated automatically in the period log. 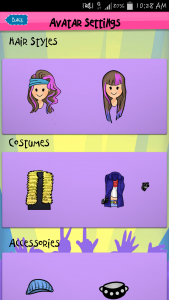 The app allows you to personalize it based on 5 different cute themes: Day & Night, Sporty Babe, Pink Sakura, Rocker Babe (limited edition) & Empower Yourself. 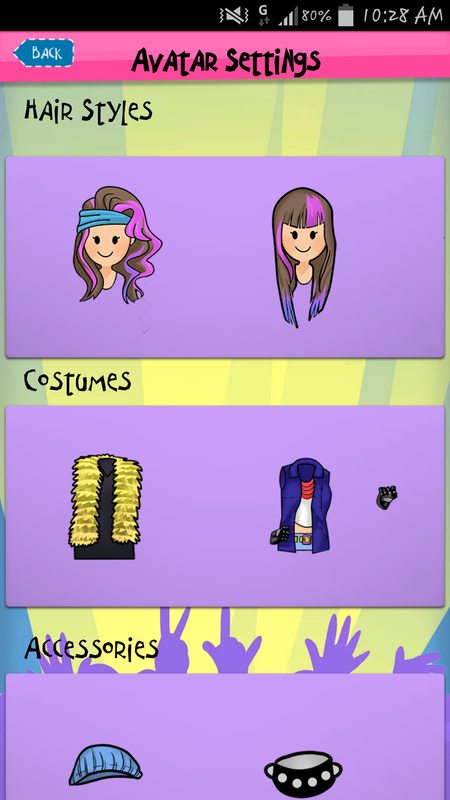 Choose one that suits you best and make the app yours! 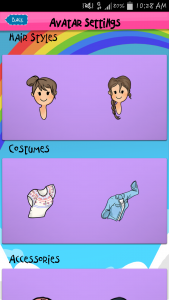 Create your own little version of you in the app! Try our newly added themes: ‘Rocker Babe’ and ‘Empower Yourself’ for this feature. Never overlook your symptoms again! Get to know your body better by recording these symptoms in the app. Disguised App Icon: Our app icon is labelled simply and inconspicuously as “P*Log”. 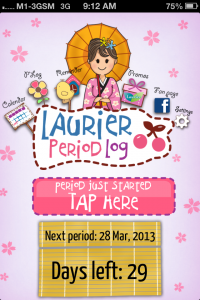 This helps to blend the app in seamlessly with all the other stuff you have on your phone! Password Protection: Safe keep your intimate information with a password lock. Fun Reminder Code Words: No one wants a huge “Period Coming” alert to pop up when their friends are crowded around their phone watching a video! With our stealthily coded reminders, no one will know what they mean except you. You can also modify the reminder text to anything else you prefer.